Camplong is situated on the edge of the forest road leading to the Soe city, Fatuleu District, Kupang. It located approximately 46 km from the city of Kupang. This forest is settles at the foot of Mount Fatuleu and it becomes the home of protected animals. This forest was designated as a tourism park in 1929, and it has a landscape area over 2000 hectares. This landscape is divided into two distinct areas, the tourist is spans more than 600 acres; and a non-forest area that covers more than 1700 acres. 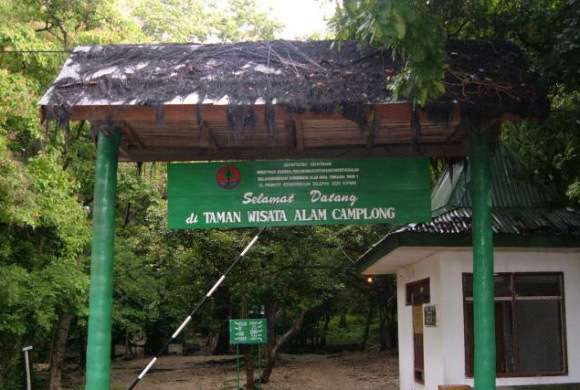 Camplong forest is also famous for its natural bathing, and the area has crocodile farm, Timor deer and pythons. We can see the endemic animals at this forest, like Timor deer, Olive-shouldered Parrot, and the Black-backed Fruit-Doves. Other animals like long-tailed monkeys, lizards, possum, srigunting, king prawns, butterflies, jungle cats and koakiu is also live here. The endemic flora is also can be found in this area like sandalwood (Santalun album). Besides the biodiversity, this forest is also has a variety of natural resources. Some of these are spring and natural pools. Another interesting location is an artificial cave that is a legacy of Japan from the Second World War period; this hostorical cave being used for the hiding place during the Japanese troops that invaded by local residents.